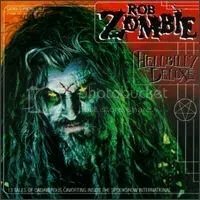 I wasn’t a fan of White Zombie. In fact, I barely knew who they were. But I had a friend who had a few of their CDs and he picked this one up as soon as it came out. I took me a few months, but I finally picked it up myself because it’s darn good industrial metal filled with tons of grooves. “Industrial dance metal”? I initially was put off to Rob thanks to the pentagram on the cover, but now I see Rob for what he truly is… Alice Cooper for a younger generation. The songs are just really fun and infectious and the album’s tongue-in-cheek B-horror movie artwork really shows this.